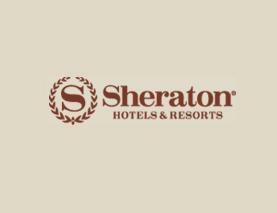 One of the oldest resorts in the area of Marina, Sheraton Jumeirah Beach Resort took very less time in attracting families and visitors all over form Dubai. Their out class facilities and availability of water sports activity has made this place worth visiting. Special arrangements for kids and adult are present so that the venue becomes a fun place for everyone. It is up to you whether you wish become a member or get the daily pass and enjoy the leisure activities. For further details related to the resort you can take help from the guide arranged below and make your trip worth remembering. The sports facilities provided by the club includes Windsurfing, Parasailing, Watersking, access to privae beach, covered children pool Sauna & Steam rooms, Beach Volleyball, Table Tennis, Temperature Controlled Swimming Pools, Banana Ride, Deep Sea Fishing and courses to learn these sports. For family membership you will have to pay Dhs 14,500 per year, whereas single membership costs Dhs 20,500. Besides that day passes are also given out; from Sunday till Thursday adults are charged with Dhs 100 and kids are charged with Dhs 60. Of Friday and Saturdays adults have to pay Dhs 180 whereas kids will be charged with Dhs 100. You can pay a visit at the Sheraton Jumeirah Health & Beach Club Dubai, on any day because it remains open seven days a week from 8:00 am till 6:00 pm. The only one route makes a stop at the nearest bus station, Mina Al Siyahi, Sheraton Terminus is 8 Gold Souq Bus Station 2A where bus route number 8 has its stop. Five minutes walk is required to cover the cover 400 meters distance. After getting of the bus you will have to head in the northeast direction on the Jumeriah Beach Rd. take a left turn and the continue your march. Take a slight right turn after covering 200 meters. 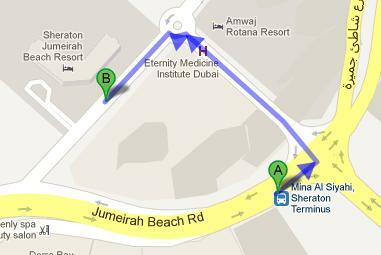 The last left turn will help you in reaching at Sheraton Jumeirah Health & Beach Club Dubai.